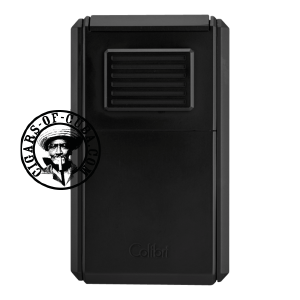 Colibri Astoria Triple Jet flame with integrated dual stainless steel blade cigar cutter. Fuel level window. Gas not included.